Safety is the buzz word in today’s productivity-focused work environment. Accidents can claim lives or maim scores of talents in the absence of fool-proof or time-tested protective system at the high-risk work environments.Providing high-degree of safety and healthy work environments for workers will not only save the skilled workforce from falling victims to the workplace disasters and dangers, but also save employers from huge loss in terms of productivity and compensation.Companies these days are increasingly looking for qualified and experience occupational safety and health professionals who can strengthen the protective net at workplaces to safeguard employees from the potential dangers and risks by implementing safety standards and regulations. There are various safety courses available for students and working professionals to pursue their career as HSE experts. One of the most outstanding occupational Health, Safety and Environment protection courses is offered by NEBOSH, a leading educational board based in the UK. There are various popular courses offered by NEBOSH through its affiliated centres across the world and the one which is the most sought-after is NEBOSH International General Certificate (IGC). NEBOSH Course in Mumbai provides basic information about the occupational safety and health needs for companies belonged to various industrial environments. 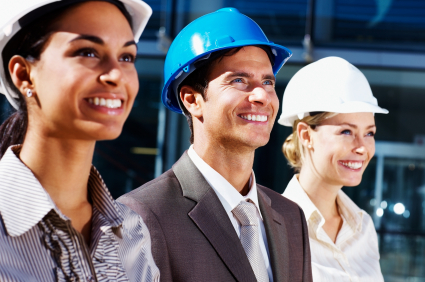 Since the course is highly rated among employees across the world, students clearing the course are readily absorbed by companies as HSE experts or safety managers, who are expected to protect the men and machinery from potential occupational risks, hazards, dangers and all kinds of health issues. NEBOSH IGC certification also helps the participants to pursue higher education in the occupational safety and health domain. The training program makes the students capable of taking vital decisions independently with respect to providing safe and secure working condition and also mitigating all kinds of risk factors. NEBOSH training in Mumbai is offered by Green World Group, one of the leading NEBOSH-affiliated centres in India, which offers high-quality HSE training coupled with career guidance from experienced and qualified tutors.